When I was a kid, boxing was in one of its golden ages. Reigning champs were Joe Frazier, George Foreman and Muhammad Ali. I watched Ali fight on TV, and talk smack on TV, and make political points on TV. During his smack-talking days, Ali was quite the slam poet. "Float like a butterfly, sting like a bee, your hands can't hit what your eyes can't see" is just one example. Many more can be found in his press conference appearances pre- and post-fights. Today's post is about a recent biography of Muhammad Ali. It's one of those new biographies that proves that there is more than one way to tell someone's life story. Similar to The Poet Slave of Cuba: A Biography of Juan Francisco Manzano (by Margarita Engle), Twelve Rounds to Glory: The Story of Muhammad Ali is a biography told in poetry. At the very end of last year, Candlewick Press put out a wonderful biography by Charles R. Smith Jr. called Twelve Rounds to Glory: The Story of Muhammad Ali, illustrated by Bryan Collier. Like the Engle book, this book won awards for its story-telling. Twelve Rounds to Glory won a Coretta Scott King honor as well as a Norman Sugarman Best Biography honor. The story of Ali's life is told in Ali-like verse that is separated into twelve chapters. Each chapter is a poem that describes an episode in Ali's life - his birth in the segregated south; his childhood and development as a boxer; his early boxing career and his Olympic achievement in Rome; the development of his brash public persona; his boxing bout with Sonny Liston that earned him his first heavyweight championship; his decision to embrace Islam, ditch his birth name (rooted in slavery) in favor of Muhammad Ali, and his position as a conscientious objector during the Vietnam war; the career ramifications of his decision to refuse to fight in the war; his loss in the fight with Frazier in Georgia (where he could fight because there was no boxing commission, including Ali's derision of Frazier as an "Uncle Tom") and subsequent fights setting up his challenge to reclaim the heavyweight championship; the "Rumble in the Jungle" - a title fight against reigning champ George Foreman in Zaire ("Ali! Boo-ma-YAY!" - "Ali, kill him! "); his rematch against Smokin' Joe Frazier and the ferocity of that particular match; a loss by decision to Leon Spinks, making Spinks the new heavyweight champion, followed by a decision to retire; the post-retirement bouts in order to earn a few paychecks, and the reasons for the need for money explained; and his out-of-the ring life as a father and, in later years, man with Parkinson's syndrome. The text of the book ends in 1998, with Ali lighting the Olympic torch in Atlanta. The timeline following the text runs through 2005, and his receipt of a Presidential Medal of Freedom, the opening of the Muhammad Ali Center in his hometown of Louisville, Kentucky, and his being awarded the Otto Hahn Peace Medal in Germany. All of this could be the stuff of legend, but Charles Smith avoids the book becoming a panegyric. He keeps it real by including some of the bad along with the inspiring and the good. Ali was an inspired fighter and an inspirational speaker, but along with his uplifting words on race and the horrors of war, Ali generated some truly ugly taunts when it came to dealing with other fighters. Along with his dedication to the Muslim faith and his search for peace and integrity, Ali's personal relationships were not always terrific, whether it was with women or some of his staff. Because this biography is geared toward children ages 10 and up (middle school and, I would argue, high school), Smith doesn't go into graphic detail, but enough information is given to present at least the basic facts faithfully, without whitewashing any of it. Here's a taste of the book. And if you'd like to hear it as well as (or instead of) reading it, Charles is only too happy to oblige, and you can access this (and three other poems) as audio files at his website. but I don't know why God chose me to carry this child." with a glow from above. Now, in the actual book, this poem appears on one page, split into three columns, with a piece of art by Collier on the facing page showing the infant Ali lying atop a quilt. It is one of the shortest poems in the book, some of which go on for pages with multiple columns per page, which gives you an idea of the commitment that Smith had to getting the information right. The illustrations throughout the book are a combination of watercolor and collage, and they add a tremendous amount of impact to the text. This book comes in at 80 pages, and those skinny columns and punchy rhymes (pun intended) push you along at a pretty good clip. And the word choices are wonderful, particularly in the fight scenes which actually get a bit too graphic for really young readers or squeamish girls in places, but I imagine that boys would read those same passages and call their friends over and read them again, looking at each other with awe and in glee and exclaiming "COOL!" I wanted the book to represent every part of this remarkable man and do it in such a way that hasn’t been done before. Once I had all the facts, double and triple checked, I then had to put it into verse. Each word was chosen with care, which made each line strong, which made each verse strong, which made each chapter strong, which made the book strong. Since it’s about boxing, I wanted it to feel like a boxing match, so to do the fight scenes, I watched old movies of the actual fights and wrote down what I saw, starting with the introductions of each fighter and where it took place. Charles R. Smith Jr. Boo-ma-YAY! That's right. Next Tuesday, April 1st (no foolin'), I.N.K. will be going live. From 12:00-1:00 PM EST, several I.N.K. writers will be on the blog to talk about biography and chat with you. What are the hot titles for 2008, what makes a good picture book biography, and how does an author decided how to approach his/her subject? And that's just to get the ball rolling. We welcome all of you to ask questions and add your own point of view. So, quickly, go create your free blogger account so that by Tuesday you'll be all set to participate. Heroes in Children's Books: Cesar: ¡Si, Se Puede! Yes, We Can! Nutritious nonfiction. Sometimes I have to be tricked into reading what’s good for me. I accidentally read this book and I am so glad. I just read Cesar, ¡Si, Se Puede! Yes We Can! by Carmen T. Bernier-Grand, illustrated by David Diaz (Marshall Cavendish, 2004). Wow. It is a luminous, inspiring book. Bernier-Grand gently lays out the life of migrant worker advocate Cesar Chavez through easy-to-read poems. Her work is so loving and understated that you don’t feel you are reading poetry; you are just being pulled piece-by-piece into the daily, yearly events that shape a person strong enough to do heroic things. Teachers would surely love reading one spread at a time and then having brief discussions about what the pieces brought forth. This book is not in-your-face nonfiction. It’s nonfiction and heroism made personal. All the material could be used for kids at young ages…1st grade through 6th. But older kids, and sort-of adults like me love this, too! David Diaz’s art is sunny, joyful, delicious. It seems to grow and glow on the pages. Every school needs several copies of this book. I think it could change lives. Once you get the taste for nutritious nonfiction, you want more and more. Because nonfiction is shelved by topic, not author, it takes a little extra work to hunt down the work of a particular nonfiction author. Yet there are some great nonfiction voices, like Bernier-Grand's, that are worth searching for. Before I began writing for children, I worked as a picture researcher for an educational interactive multimedia company. When I began writing nonfiction children’s books, my old job experience proved financially and literarily (?!) valuable. In my next life I want to be an author-illustrator, but in this one, having no talent in drawing or painting, I settle for doing my own picture research. Through my choice of pictures and captions I can strengthen my narrative. Picture research begins during content research, when I photocopy all images I might use, along with source information. Twenty years ago I began by making a long wish list of illustrations for a project. I faxed this to the Library of Congress (and other venues,) waited a few weeks for photocopies to arrive in the mail, then sorted through them. Today I enter http://www.loc.gov/rr/print/catalog.html and instantly access tens of thousands of images, and not just American history. Just now, searching “ostrich” I found 70 entries including art prints, political cartoons, landscapes, and much more from around the world. I especially enjoyed “Mud mosque in Mali with three minarets topped by ostrich eggs.” Be careful. It’s easy to while away countless hours browsing this amazing site. Picture researchers for glossy magazines and high-profile books will turn to stock houses first. As a children’s author, that’s the last place I look. Some publishers will give authors a photo budget; some will require you to pay for photos; some will pay upfront, then take the costs from royalties. (By photos I mean all illustrative material.) Three types of fees may apply: research fees to find the photos; print (or scan) fees for the image itself; and permission fees to the copyright holder. Tasks to avoid: the enormous job of acquiring prints and scans, sending letters and invoices, paying invoices, and getting permission releases for every single image. Get your publisher to do that, if you possibly can. • Government agencies – NASA, NOAA, USGS, and many other public agencies have old and new photos, as well as charts, graphs, maps and the like – all in the public domain. National tourism agencies, here and abroad, also offer free or cheap photos. • Private companies – They are often happy to give you illustrations for free. • Museums – Art, history, and natural history museums are great sources for illustrations, but prices are higher. The magic words “children’s book” probably won’t lower your permission fees, though you might negotiate if you buy several images. • Stock houses – These act as agents for freelance photographers, news photos, and some historical collections. Permissions fees are high – in the hundreds of dollars (or more) – and are usually non-negotiable. Visit libraries and archives whenever possible and browse. I found several wonderful windmill-related images for The Wind at Work in an old postcard collection at a museum. These weren’t cataloged and I doubt a librarian-researcher would have thumbed through the boxes. When I’ve gathered more than enough possible illustrations, I send copies to my editor and we cull them together. At this point we discuss how many high-priced images we really need. Be sensible, but not miserly. That gorgeous image that costs $500 may be like the designer shoes or crystal vase that brings you joy for years to come. And unlike the shoes, your perfect illustration is tax-deductible. Please add your tips on penny-pinching picture resesarch to the comment file below. I never asked "Why poetry in non-fiction?" until I had written (with my wife, Yael Schy) a science book containing a series of poems about camouflaged animals -- Where in the Wild? Camouflaged Creatures Concealed. . . and Revealed. Yes, the book was already finished before it occurred to me to wonder why I had wanted to do most of it in verse instead of strictly in prose, like all of my other books. If someone had asked, my answer would have been similar to that of the proverbial mountain climber: because it was there. Poetry was a new peak for me and I wanted to see if I could climb it to enter a new literary realm. I didn't think much about how entering that realm could improve the book or affect its readers. when answering specifically. . .
small green frogs live THERE. The reason for a FLOWER is to manufacture. . .
Now we know the reason for the flower, and I am beginning to know the reason for the poem. I can't stop reading it! It's fun! It has captured me, latched onto some nerve center in my brain and it doesn't want to let go. The delicious rhymes and rhythms of verse do that. Neuroscientist Daniel J. Levitin explains how music triggers pleasure sensors in the brain in his 2007 book, This is Your Brain on Music. My hunch is that poetry works in a similar way. Reading can be for information or pleasure or both. If poetry helps put the checkmark in both columns, how can we -- why should we -- resist? The colors you see are the colors of me. I'm bumpy and blotchy, part light and part dark. Or grow on the ocean floor. Some fly where the breakers roar. Shrieking and swooping and pecking up things. Have 4 bright eyes to watch the beach. Nesting in anemones' spiny ocean bed. Have 9 stripes in fishy places. You may think I'm lizard-like. But I'm no reptile -- think again! In thinking again, I begin to wonder why more non-fiction is not written in verse. I invite readers of this post to contribute selections from their favorite works of non-fiction poetry (or just to recommend book titles)... and to add to the list of reasons for a poem. One of the comments on my last post came from an illustrator. She pointed out how nice she felt that her work had been appreciated. No wonder, then, that after my last post, I’ve been thinking a lot about the role that illustrations play in nonfiction. Of course, pictures can be purely functional. I’m not sure that a picture always can or should “replace a thousand words” but in some instances, pictures are very helpful in making a point or clarifying something – especially in nonfiction books. Imagine, for instance, if we writers had to rely on written instructions alone when we wanted to tell kids how to do an experiment or make an object! That, in itself, should make us value illustrators – and I certainly hope we do. However, pictures can be so much more than purely functional or even just attractive. They can transform a work of nonfiction in an intangible way. The example I’m thinking of is JUMP! - a biography written and illustrated by Floyd Cooper. This lovely book about Michael Jordan focuses on an incident in Jordan’s childhood. I did make it to the basketball team in my high school, long, long ago, but I can’t say I’ve really kept up with the sport- I rarely watch it (or any other sport for that matter) – and I hardly ever read stories about sports personalities – so it’s unusual for me to rave about a book like JUMP! It’s not that words aren’t important in JUMP! They certainly are. Cooper’s spare yet beautiful prose kept me smiling throughout the book – it touched just the right chord, it had just the right lilt. The words bounced along ever so smoothly – and if that sounds like a contradiction to you, then think about your favorite basketball player dribbling, passing and shooting, and you’ll know what I mean. But it was the illustrations that made the book so incredibly special to me. Cooper uses a palette of browns and grays that seem to melt onto the page and transport the reader into another world – a world that seems to be more fantasy than reality. His illustrations confer a dream-like quality onto the pages – they seem not to be made of paper, but rather woven out of some gossamer fairy-tale fabric. And that special combination – of words rooted in fact and pictures that seem to swirl with magic – makes this one of those very special works of creative nonfiction that brings alive the dream-like quality of life of the sports celebrity whose life it celebrates. Just home for a few minutes (okay, hours, if you must know the truth) between school trips, and read Padma’s almost embarrassingly kind post about my book Beaks! (Thank you Padma!) It got me wondering, though, if I had anything more to share about creating these kinds of books. “List” books—those which basically include collections of items—are very popular, and appear in almost all subject matters from history to biography to science. My first list book, Animal Dads (illustrated by Steve Jenkins), did so well that I immediately bent my mind to other subjects that might fit into the list format. The question here, though, is how does one create these books? As always, the first step is research. Go learn everything you can about a subject. 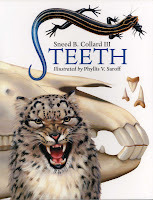 For a book like Teeth (illustrated by Phyllis V. Saroff), for instance, I’ll start with some animal encyclopedias, then grab some comprehensive books on different animals groups, then dive into scientific journals, which often have the most interesting facts about animals. I don’t try to write anything immediately, just let all this information percolate through my brain. And they grind, mash, and munch. Teeth can be very different. Antlers and horns are not teeth—but you probably knew that already. And so forth. Really, what I’m creating here is a poem, hopefully with a voice that draws in the reader. Now doing this can take some work. I’ll bet I went through twenty versions of Animal Dads before I hit just the right style and voice I was looking for. When you’ve got it, though, you’ll know. So far, I’ve published about eight list-type books, but the list approach isn’t just for professional writers. Once Animal Dads came out, schools I visited began presenting me with all kinds of their own list books that students had created. Taking a topic—almost any topic—and writing a list book proves a great way to get kids interested in a subject and in writing. A typical list book has about twenty entries—just about the size of a typical classroom. By giving one aspect of a subject to each student, teachers offer them a bite he or she can handle without being overwhelmed. Then, when the kids put their book together (often creating art at the same time), they can all learn together in a way that is fun and fascinating. So, here we are, rethinking nonfiction. The rethinking piece means something different to each of us, I suspect. My professional roots are that of an editor of children’s library market nonfiction—a hat I wore proudly for more than a dozen years. Just this week, as I taught a group of undergraduates, I heard myself saying that “I loved, loved, loved my job as an editor.” Really? One guy asked. I mean, when people say that, they’re usually being sarcastic, he continued. No, I assured them, I adored being an editor. In fact, I often miss it. My entire job revolved around thinking about nonfiction for kids. So now, a decade into a full-time writing life, I find myself indeed rethinking nonfiction. Mulling over interesting ways to tell true stories. Stories that will grab young readers and inspire them to—dare I say it?—learn. A lot of the rethinking that goes on for me has to do with building on my library market roots. And in some ways, overcoming them. Library market nonfiction, at least in the traditional sense from a decade and longer ago, simply takes a different approach than the trade. The difference, as I see it (and feel free to expand or disagree in the comments area) is that the nonfiction library market takes a fairly straightforward approach to topics, and maintains a close correlation to curriculum needs. This makes good pedagogical and business sense, as the educational market caters mainly to schools and libraries, with the trade crossover occurring in the minority. The trade approach is the flip-side to this—and yes, I’m aware that I’m simplifying things for blog-brevity’s sake. The trade is interested in capturing much more of the bookstore market and counts on a built-in crossover to the schools and libraries for those titles that do have curriculum tie-ins. But the key to success in the trade nonfiction market is anything but straightforward. Something for which I am simultaneously grateful for and with which I continually struggle. Let me explain. Having the freedom to approach a topic from my desired angle was not something I could do often in the library market, so when I branched out and began to think along trade lines it was liberating. However, having been so firmly rooted in the “straightforward,” I tend to have to break out of that mindset in my second (and third and fourth…) drafts of nonfiction manuscripts. I always start with the basics. Not that there’s anything wrong with that. In fact, it has stood me in good stead. The creative challenge then becomes seeing things from different perspectives and thinking in story. In part, I credit Marc Aronson for helping me with this. He is my editor on a forthcoming book called Almost Astronauts. One day we met to talk about the book in its early stages. I happened to be coming from a morning of fiction writing. I made a comment something along the lines of “I have to switch gears now. I’ve been working on a novel.” He immediately said, “Oh no, stay right where you are. That’s the mindset you need to approach this story.” This story. A simple thing, semantics. And of course, not simple in the least. I had not yet allowed the word “story” to blend with the term “nonfiction.” And once I did, my pen began to fly. What’s your nonfiction story? My book for Spring of 2008 has a simple premise—how life would change if math and numbers were suddenly gone. What if you couldn't count, or add, or measure, or tell time…? Here’s a preview of Missing Math: A Number Mystery. We usually see books only when they're in their pristine final form, printed in living color on coated paper (in the case of picture books, anyway.) This post will give a sense of the behind-the scenes gyrations, which took longer than usual in this case. The dummy is undated and my memory inexact, but it’s before I went digital for illustration around 1997 so it’s over ten years old. There are some handwritten notes, such as maybe he should be more of a robot-like character. I didn't realize it until now, but the 25 m.p.h. speed limit sign somehow endured through all the versions to appear in Missing Math. Although the specific reason this version was rejected has faded, in retrospect, consuming a few numbers here and there doesn't have enough impact. A robot alien! And a spaceship! The whole scene was a shocker, but I had my sneakers on in case I had to make a quick getaway. There was nothing to worry about, because this guy could barely find the tool box, not to mention a ray gun. …Don’t ask me where he came from, I didn’t find out. It is a good question, though. Some secret government project? Anyway, once he decided I wasn’t going to dismantle him or anything, he went back to working on the ship or plane, or whatever. He called it his “ziptek,” so we can just stick with that. My nephew Caleb read it and liked it, even if my editor ended up giving the thumbs down on it. The concept was probably too young for a chapter book. Somebody ATE my money last night! and my books are dripping with drool… YUCK! Something totally WEIRD is going on. It’s in sort of a non-rhyming poetic format, which may be why my editor suggested I try it in rhyming verse. Verse? I hadn’t written anything in rhyme since 1990. Sure, why not? That ended up being the manuscript for Missing Math. It has an all-animal cast, some nonsensical angles such as not even being able to THINK of a number, and a weird machine that is being used to steal the numbers for some unknown purpose. Fortunately, there is a persistent cat detective who is determined to solve the mystery of the missing math. You can see him on my site. So why did I persevere in the effort to get this notion into book form? Despite the setbacks, I stayed in love with the the idea of making math vanish as a way to help kids perceive how integral it is to everyday life. But credit must also go to my editor Margery Cuyler who never forgot about it for all those years, and kept asking to see the “no math” idea in some new form. Her interest motivated me to rethink it. Missing Math: A Number Mystery gets right to the point and shows how completely things fall apart. But, it would’ve been nice if it had come together just a tad more quickly! If anyone would like more info about how I made the video preview for Missing Math, please check out The Dust of Everyday Life blog, which gives an overview of the software used. The post is titled Making a Book Preview (Trailer). Other people there have also written about making book trailers. In my childhood, I spent many summers at Oma's house in Germany. To my brother and I, this meant a month of no television, visiting relatives that we couldn't converse with, and finding things to do instead of fighting. One summer after reading all the books we packed, I wandered into my uncle's office and looked through his library. I grabbed the ONLY book in English on the shelf and sat down to read. The book was The Agony and the Ecstasy by Irving Stone. Instantly, I was mesmerized by the story and passion of the life of Michelangelo. On our next trip to town, I made my mother stop by an art store and, when we got back, I set to work with sketchbook and pencils. My brother and I walked the winding path to the castle and I sketched the church towers. I sketched the vineyards gracing the hillsides. My sketchbook went everywhere with me. I sat in the kitchen table with Oma and sketched the castle view. Oma asked if I she could have the castle view drawing. She had it framed and the drawing hung on the entryway wall until the day she passed away. In Irving Stone's telling of Michelangelo's life in The Agony and the Ecstasy, I found a passion that lead me to a career in art and design. With the lifestyles of today, so many children are missing the opportunity to find their artistic passion. How many Monets, Picassos, and Cassats are, at this moment, playing a video game, watching TV, or texting their friends? My biggest wish is that someday my writing will inspire one child to grab a piece of paper and pencil and draw... and find his of her artistic passion. The following are just a few of the wonderful nonfiction books I love, that hopefully will inspire children to paint, draw, sculpt, build, and create! This book is my very favorite book on art. I have taught Art Appreciation classes in the elementary schools for 9 years and I am always finding that the book holds a captive audience for all children from Kindergarten to 5th grade. In Winter's telling of Frida Kahlo's life, her passion, creativity, and persistence shine through in a poetic narrative. The Mexican folk art of monkeys, devils, skeletons and jaguars, which represent the demons that Kahlo faced and incorporated into her paintings, add another interesting dimension to the art lesson. In this beautiful picture book, the reader follows Jackson Pollock's passion for painting, stroke by stroke. "An athlete with a paintbrush, he uses his whole body to make the painting. Layers build with each gesture, new colors emerging, blending, and disappearing into the wet surface. He swoops and leaps like a dancer, paint trailing from a brush that doesn't touch the canvas..."
Wonderful telling of this artist's story. Okay, I know this is not officially nonfiction but I love this book and all the books in the Art Encounters series. In Kudlinski's telling of O'Keeffe's life, through the eyes of a fifteen-year-old boy, the reader experiences all the riches of the passion and inspiration through the beauty and mystery of the desert. I wish that I could have read this book in high school. Greenberg and Jordan paint a perfect picture of this unique artist... whose passion and popularity I did not understand until way past high school. This biography mixes just the right elements of passion, angst, and artistic lifestyle to interest teens. Well, once again, this book is more historical fiction than nonfiction but this true story of the real 16th century painter, Lavinia Fontana, will absolutely inspire, educate, and empower teens through the eyes of the young artist. And isn't that a great cover? But life, being what it is, delivers a piquant end to the Tunis story. In 1989, The McCormick Building was demolished. With it went Tunis’s Spice mural. And just like in the Joni Mitchell song, in its place they put up a parking lot. My daughter and I were having one of our usual conversations about the sorry state of her school’s social studies curriculum. She was frustrated that, by 9th grade, they had yet to touch on the 20th century and it didn’t look like this year would be any different. She'd never heard of Churchill? Never heard his inspirational speeches, spoken with a lisp, of never surrendering to the Nazis? Never seen pictures of him in his blue coveralls, smoking his omnipresent cigar, giving his V for Victory sign? My mind started racing over our trip to England, the Churchill biographies I had read as a result, and the pages I had marked just recently when reading Doris Kearns Goodwin’s NO ORDINARY TIME. After a long pause I said, “I just might have to do something about that.” My daughter gave me a big smile. She knew I had just met my next project. Churchill had captured my attention a few years ago when I had convinced my family that a visit to the Cabinet War Rooms, where Churchill and his staff hunkered down during WWII, was a worthwhile way to spend our last morning in London. As they waved goodbye to their cousins who were off on a more lighthearted tour of Buckingham Palace, I tried to reassure them that they wouldn’t be disappointed. Luckily, I was right. The self-guided tour was fascinating and we were all pulled right in. We learned a bit about the Blitz, how they made use of the different colored telephones, and how they charted everything out with paper and pins in the map room. It was a morning well spent, topped off by some chocolate cigars from the gift shop. Is it possible to draw a kid into a book in the same way as that hands on experience? I think so. When I visited, I snapped a few photos, despite the darkness. 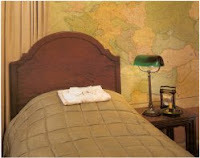 The photo I took of Churchill's bedroom gives a slightly different view. Notice anything in the bottom of my photo? Yes, I would definitely want the chamber pot included. Not only is it a visual kids would love but it reveals a lot about the time, place and circumstances. They were in a bunker because those were real bombs flying above; the closest bathroom was a up a floor or two. It would make a good contrast to talking about the conditions that FDR lived under at the same time and a great way to talk about the situation in Britain and the United States. If done with the right approach, I'm confident kids would be interested. Books on Franklin D. Roosevelt certainly do well. What about a book that explores their relationship? But then why is there only one book on Churchill in the children’s section of my local library? Is it a gold mine waiting to be explored or a subject purposefully passed over? And there is the ever-present curriculum problem. If it is not a subject kids will study in school, the editors don’t think it will sell. Does this always need to be the first consideration regardless of a writer's knowledge or enthusiasm for a subject? More on this in another post. Because I write books about art, my books are full of famous paintings. So I find it funny when I go on a school visit, and a kid (or even a teacher) asks, "Do you do your own illustrations?" I mean, it seems obvious to me that the paintings in my books are famous, and that I didn't paint The Starry Night or The Scream myself. But to a child, who doesn't understand the whole bookmaking process, it only makes sense that if my name is on the cover, then I must have made the pictures inside. So I go on to explain that these are photographs of paintings that hang in museums, and that I have to get the museum's permission to use these paintings in my books. But one of the cool things about this question is, it made me think differently about my books. After all, how many authors can say they've written a book illustrated by Jasper Johns? Or Pablo Picasso? Or Leonardo da Vinci? I actually have the privilege of working with some of the finest "illustrators" the world has ever known. I even have the power to choose which ones I want to work with. I can "hire" whomever I want. So in a way, I am doing my own illustrations. I'm able to look at the entire history of art and choose whichever pieces I think best illustrate the story I'm trying to tell. The creativity comes in the choosing. And so does the fun. Of course, this isn’t really about anything being simple. I just thought I’d take a magazine cover-line approach and use a completely misleading headline to increase readership. I’m giving a talk soon about writing children’s non-fiction, and as an exercise I’ve tried to articulate a list of rules & guidelines I follow when writing. These are rules that apply to my own writing — I’m not suggesting that anyone else should follow them. Well, maybe one or two of them. • Introduce a few new terms and vocabulary words, but not too many for the reading level of the audience. If possible, use new terms without formal definition in a context that makes their meaning clear. It’s more fun for kids to figure out for themselves what a word means. • Don’t anthropomorphize. Like I said, these rules are for me. There are lots of great natural science books that use the first-person voice of animals, natural forces, even the universe. But these books make it clear from the beginning that there is poetic license involved, and that the reader is being invited to use their imagination to see the world from the perspective of some other entity. I’m more concerned about casual references to the way animals ‘feel’, or what they ‘want’, in the course of what purports to be a objective examination of their behavior. • Don’t confuse the presentation of facts with the explanation of concepts. • Don’t follow lists of rules. On the heals of Jan Greenberg’s post contrasting fabricated memoirs with the tireless research she’s putting into her book on artists Christo and Jeanne-Claude, comes the news, in yesterday’s New York Times, that Esquire plans to run a fictitious first-person diary titled, “The Last Days of Heath Ledger” in its April issue. The “diary,” written in fact by Lisa Taddeo, follows the late actor from London to New York, imagining his thoughts and actions during the days leading to his death from an accidental overdose of prescription medicine on January 22. In today’s world of information overload, it’s not so surprising that somebody came up with yet another way to exploit the tragic death of a talented actor. What is surprising is that in the Times article, several publishing professionals, including one who teaches magazine writing at NYU, endorse and even applaud the move. I was trained to believe the line between truth and fiction should not be blurred. I’m not saying people shouldn’t write historical novels or produce movies and TV shows that are “inspired” by real events. The public usually knows what it’s getting into with those creations. But including a fictionalized piece in an environment where people expect truth and accuracy undermines a publication’s credibility. Years ago, when I was a contributor to Scholastic Search, a fantastic American history magazine for middle school students, the editor proposed a series of “interviews” between notables from different eras. Ben Franklin might sit down with Theodore Roosevelt, for example, or Rosa Parks might speak with Pocahontas. It’s an intriguing idea, and a good writer who did a lot of research might pull it off. But it made me uneasy to think of a fictional piece running in a kids’ non-fiction magazine. Similarly, it drives me nuts when I see bookstores shelving installments from the Dear America series and its descendants and imitators in the non-fiction section. If store personnel can’t distinguish those fictionalized diaries from the real thing, how can kids? I vastly prefer the original American Girl books, where the historical fiction is followed by an engaging essay exploring the true events that inspired the novel. Those books give you the best of both worlds: compelling fiction and historical context under one cover. In recent years, the trend in kids’ nonfiction has been toward more attribution and accountability. When my editors first told me they would require footnotes for quotations and statistics, I balked, flashing back to those long ago days of writing college papers. But now I embrace the chance to hold the veracity of my work up to public scrutiny by including footnotes and inviting readers to e-mail me with questions about sources. And when those sources conflict with no clear consensus, as in the spelling of Annie Oakley’s real last name (Moses or Mozee), I do my best to report the disagreement and explain why I chose the option I did. In kids’ nonfiction, honesty is the best policy and accuracy always matters. 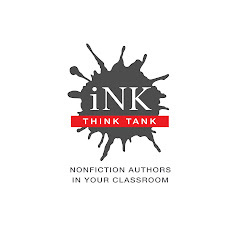 I frequently do a workshop for teachers where I discuss, among other things, different elements good nonfiction may have, including plot or story. To illustrate this particular point, I bring out The Red-Eyed Tree Frog by Joy Cowley and Nic Bishop. Cowley’s book tells young readers where these frogs live, what they do and eat. But, with just 170 words, she also duplicates the structure of War and Peace. Okay, a little hyperbole here, there’s no Russian winter or love interest in this one, but the book does have a strong setting, a gutsy hero with a conflict, a subplot that leads to the climax, resolution of the original conflict, and a denouement. So I was surprised the first time—and the second and third—when a teacher said he or she hadn’t realized that The Red-Eyed Tree Frog contained a full story. Kids know this on some level, that’s why they read and reread the book. Humans are social creatures and busybodies; we all love to hear stories. I realized this in a past life, when I was a magazine writer. I’d write an article about, say, the effect of stress on infertility. Naturally I’d quote statistics and experts, but what people remembered were the anecdotes about Jane or Sarah’s experience. Stories are, in large part, how we learn. Some nonfiction books are obvious stories, from Jennifer Armstrong’s account of Shackleton’s amazing Antarctic expedition, Shipwreck at the Bottom of the World to The Great Fire by Jim Murphy. Others are not so obvious. I’m not suggesting that writers should turn every animal into a swashbuckler or start giving thunderbolts a mission. I just know that when I’m writing and confused about how to proceed, I often ask myself, “What’s the story here?” And my answer may unlock the logjam. A few years ago, I got a dream assignment. The new director of Selby Botanical Gardens in Sarasota, Florida, knew my children’s books and asked me to create new signage for the entire garden. I knew I could write clear, even lyric signs, but I wanted something more compelling. Now, Selby has a big sign at its entrance that explains that plants live their lives differently than we do, but they have the same needs and goals. Then I invited the visitor to come learn (through subsequent signs) about this world whose inhabitants were busy staying healthy, making a living and a family, fighting turf wars with neighbors, outfoxing predators—and, sometimes preying on others themselves. In other words, I made a story. See How They Run: Campaign Dreams, Election Schemes, and the Race to the White House.. In it, I write that we not only should vote, we also have to know enough to make good decisions. But what will kids remember more—that clear, slightly stodgy sentence or the story that follows it and illustrates the same idea, the one that took place in Milton, Washington, when Boston Curtis won an election in 1938. Milton’s mayor had put this totally unknown candidate on the ballot to prove how important it is to know who you are voting for. Boston Curtis was a mule. If I think of my life as a story, one of the advantages of advanced years is that I got to see how I turned out. Upon reflection I can figure out how various factors and events contributed to the making of the person that I am today. There are not many authors of nonfiction science books for children around. It is certainly not a career path many would follow, nor is it a get-rich-quick scheme. Yet in 1979 I made a conscious and deliberate decision to make it my vocation despite the fact that I was a single mother of two young boys with only $300 a month in child support (which didn’t go very far even then). I had been a science researcher, a junior high science teacher, a network television news-writer, a stringer for a national magazine, and did a stint in public relations. I also had a dozen books to my credit (including Science Experiments You Can Eat) and 23 half-hour episodes of my own cable TV show, “The Science Game.” I knew I could earn money doing a lot of things but I thought that if I wrote science books for children I could be distinctive. Besides, I could do it from home and be there for my kids. So despite many nay-sayers who told me I couldn’t support a family with such a career, that is what I chose. How it all led to where I am today is due to a number of threads in my life. I have some understanding of their origins. My interest in learning was fostered by my elementary school, The Little Red School House in Greenwich Village, Manhattan. It was, and still is, progressive education at its best. The emphasis was on experiential learning—discovering through making, building, experimenting, and then transforming the lessons into expressive works—writing and art. Its mission is to produce life-long learners. Here I am! My interest in science comes from my insecurities about being an authority on anything. When I was young I believed that my opinion was of no importance. I only felt certain about what I had experienced myself and that experience was limited. I am a very literal person, only coming to understand nuances of the human condition as expressed in literature when I got some biography myself. But science is a way of sharing experiences. If you ask a scientist, “How do you know?” A scientist can say, “This is what I did. If you do what I did, you’ll know what I know.” I could trust the authority of science and as a result I could speak about science with conviction. Besides, I loved to make discoveries and science was wide open to that. My productivity stems from financial necessity. If I had married the kind of man my mother wanted for me (like my present husband) I would not have had this amazing career. Once, when an editor who had promised me a series got fired, I broke out in hives wondering how I would pay the rent. There was a period when I had no medical insurance for me or my kids. I would peruse the NY Times want ads to reassure myself I could always bail out and get a job. Then I’d decide to hang in there one more week. I expanded into school visits, teacher in-services, and other forms of paid public speaking. I turned nothing down. Even today my moods are still very much tied to my cash-flow situation—my version of post-traumatic shock syndrome. Every writer struggles to develop a “voice”—language that communicates the author’s humanity underlying the content of the work. In developing my voice I had to fight a tradition in nonfiction that stemmed from a very male and authoritarian culture. When writing about the real world (particularly science), the author had to be distant and dispassionate (translate: “dry”). The information was to be communicated from the real world to the reader untouched by wit or the human heart. But I’m female and a teacher. Read Deborah Tannen’s book, You Just Don’t Understand: Women and Men in Conversation. She claims that women converse to create community, while men treat conversation as a competition. (A good example of the latter is “Crossfire” on TV.) My enthusiasm for my subject was evident to my students when I was in the classroom. My job as a writer is to bring that enthusiasm to my readers through the written word. I figured that if I were bored when I wrote, my readers would be bored while reading. So I began bringing an irreverent tone and a little humor to my work. “Not so fast,” said some editors. And so, the battle began. My books are not just about facts and ideas but include my excitement and enthusiasm for these facts and ideas. Slowly, my books have gained acceptance and I have even won some awards. A part of me is astonished at my success. My generation of women was brought up to think that men were authorities; they knew more than we did. Who could possibly be interested in my opinion on anything? When I got the galleys for my first book in 1969, I gazed at my name in print for hours. Now, almost forty years later, I have no problem saying what I think. So here it is. I hope you found it interesting. The beauty of biography lies in digging deeply into the life and art of someone else and getting it right. The challenge in writing about living artists is telling a vivid story that does not begin “They were born” and ends “They died.” We cannot put words in the subject’s mouth or invent the action. Frankly if I were writing about myself, I would turn it into fiction, as I did in my first autobiographical novel A Season In-Between, back in 1979. It was more fun that way. Jones’ editor, who recalled all the books, says there were other ways to tell that story instead of lying about it. The book might have been a terrific novel. I wonder what others think about this? Let me pose a question. If you were writing a memoir, would you feel it was proper to sometimes exaggerate or embellish the facts of your life? 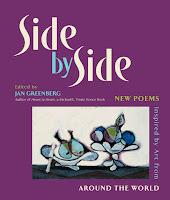 My new book, Side by Side: New Poems Inspired by Art from Aro und the World, an anthology that I edited, will be published in April. Using primary sources in the research process can be both rewarding and frustrating. Reading a letter or a diary can be exciting, but so often I find myself thinking "Why didn't he explain X?" -- or Y or Z? So much is left out that the original audience was expected to know without being told! My job is to figure out what went without saying, and to decide what the missing pieces might be. This requires a certain amount of confidence, and the willingness to make logical inferences. Let me give you an example. While doing research for a book about the Civil War (Photo by Brady: A Picture of the Civil War), I ran across a fascinating battlefield tidbit (of course, I ran across dozens, but I'm just going to use one right now.) The tidbit was the information that at the end of a battle, sodiers' faces would be black around the mouth from gunpowder, because they had to bite off the ends of their paper cartridges, and in the frenzy of battle the biting and tearing got a little messy with gunpowder splashing and spilling. Okay, what can we extrapolate from that? I like to consider all the senses when I have to flesh out details. "Faces black with gunpowder" is a vivid visual detail, but it also suggests other sensations: the gritty feel of gunpowder between the teeth, not to mention the taste of it in the back of the throat for hours at a time. (Full disclosure: I have not tasted gunpowder so I don't know how to describe it.) It suggests the sting of gunpowder in the eyes or up the nose; I can imagine spitting black spit and blowing black mucous into a hanky. Does everything smell of gunpowder when it coats the inside of your nose? Do you spend the first hour after battle spitting and rinsing out your mouth, provided you can get water? The gunpowder must also be in the ears, the hair, down the shirt collar -- everywhere. If you've been sweating no doubt you are smeared with black sweat, and the creases of your skin will be etched with black powder. Chances are that a right-handed soldier will have more powder on the right side of his face and head, and vice versa for a lefty. Thus with one sensory detail, I can extrapolate a whole panoply of contingent information. It takes some practice, but anyone can do it. I find many kids are unaccustomed to making logical inferences, so when I demonstrate this process to young readers it looks a little like a magic trick, or like I'm just "making stuff up." But trust me, it's not really pulling a rabbit out of a hat -- you just have to look carefully inside the hat and see what's in there.